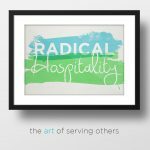 A recurring theme in Unitarian Universalist circles is radical hospitality. Though the concept hails from the Benedictines, the ethic of offering hospitality transcends particular religious traditions. Today we’ll explore how practicing radical hospitality could deepen connections at UU Danbury, while making a place for newcomers.